Hunting around the seedier ends of the film internet. Yes, I do mean the press websites of distributors. I came across the first image for the big screen version of the novel. Tinker, Tailor, Soldier, Spy is based on the John le Carré Cold War spy novel. 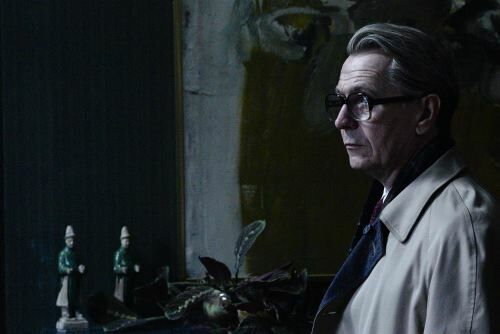 Set in the 1970s George Smiley (Oldman THE DARK KNIGHT), a recently retired MI6 agent, is doing his best to adjust to a life outside the secret service. However, when a disgraced agent reappears with information concerning a mole at the heart of the Circus, Smiley is drawn back into the murky field of espionage.